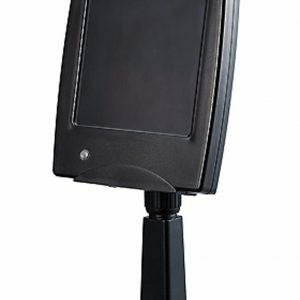 This heavy duty infrared illuminator can be used with CCTV surveillance cameras to enhance night time visibility. 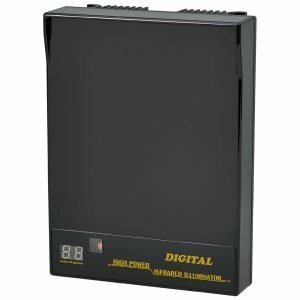 Perfect for use in covert observation systems, discrete monitoring of offices and warehouses at night and for perimeter security protection where lighting is poor or difficult to implement. The amount of infrared illumination that is provided varies by distance and beam spread angle depending on the unit that is chosen. 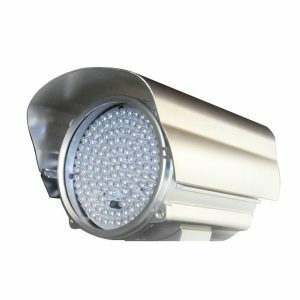 In addition, there are many factors influence IR illuminator performance. These include other light sources in the area, surface color, surface reflection and more. To improve performance, it is recommended to mount the illuminator in a position from which the infrared light is able to reflect off a surface. 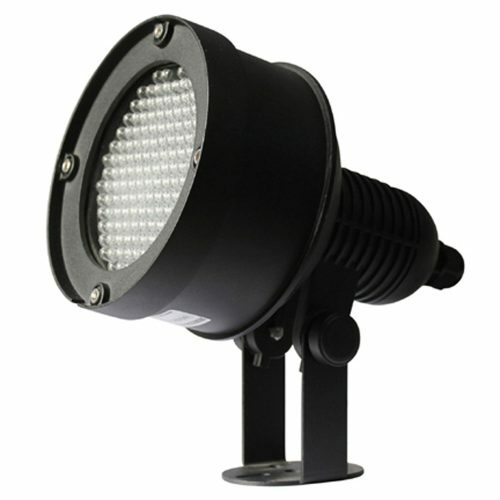 IR Illuminator, 210ft, 850nm illuminaire, 140pcs LED, 45 degrees. High Performance Laser Illuminator, 40 degree @ 492ft.